Web of Science: Why are the Icelandic sagas anonymous? 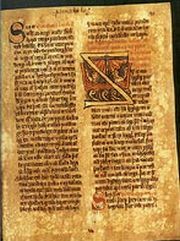 The reasons why the Icelandic sagas are not attributed to named authors are probably that the first individuals to record them in writing did not see themselves as the authors, nor did their contemporaries consider it important. Author means originator, and the Sagas were either based on older accounts of the events they describe, or the authors wanted it to appear so. A saga can be a narrative about events or it can be an account of the events themselves, and he who records a saga is not the author of the events, unless they were a figment of his imagination. I have written a few words about that in Íslenskri bókmenntasögu II (1993), pages 44-49, see particularly page 48. It is interesting to note that their verse was not anonymous, which meant that people felt that the form and choice of words in verse were more the creation of the author than prose texts could be. Who wrote Njals Saga and when was it written? Vésteinn Ólason. „Why are the Icelandic sagas anonymous?“. The Icelandic Web of Science 6.3.2005. http://why.is/svar.php?id=4812. (Skoðað 21.4.2019).